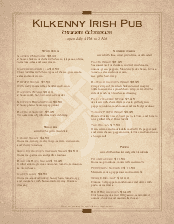 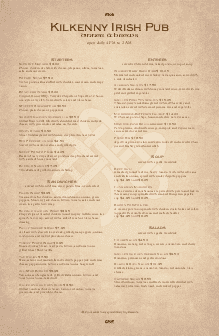 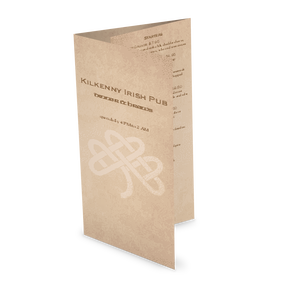 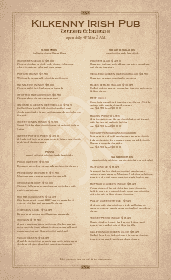 A half-page Irish Beer menu. 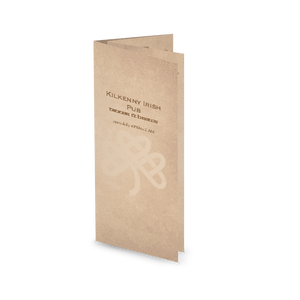 A brown parchment background includes a watermark of a celtic knot in a shamrock shape. 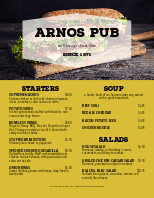 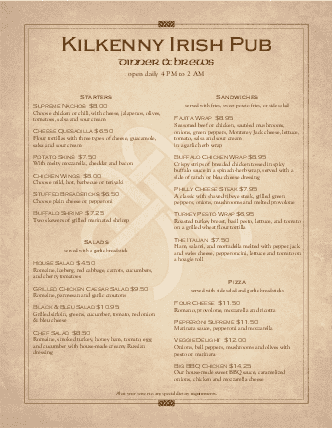 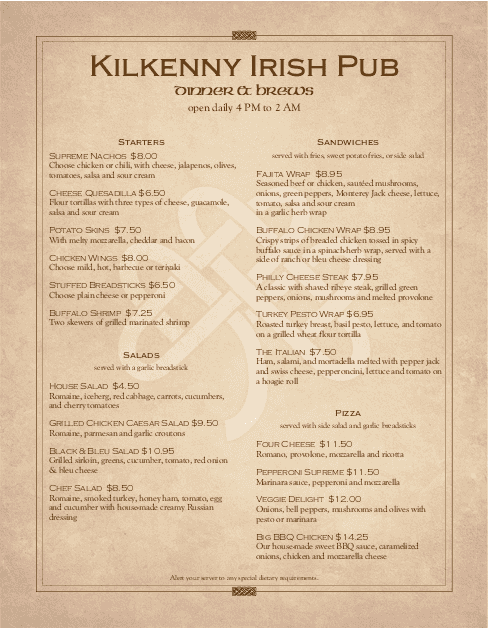 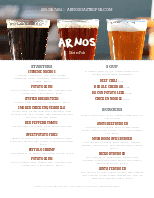 Customize this narrow menu with beer, happy hour, or dinner specials.